H&H at 1133 Homer Street is located in the heart of Yaletown. 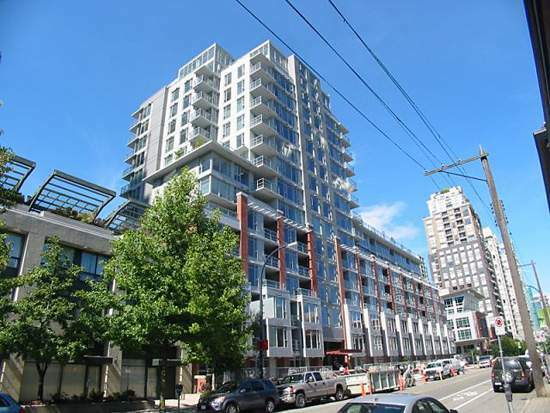 Homer+Helmcken was developed by Chandler Development Group, also known for the Tribeca Lofts in Yaletown. Suite interiors come in a choice of Manhattan (silver grey with undertones of grape for cabinetry, limestone tiles) or Santa Monica (natural richness of teak brown & creamy white). H&H kitchens feature stainless steel appliances, granite or quartzite counters with high-spout faucets. Most suites feature bathrooms with frameless glass showers & double vanities. Situated adjacent to the bustling Yaletown retail hub of Mainland & Hamilton St., it's just a quick stroll to Vancouver's trendiest restaurants, nightlife, and boutique shops.